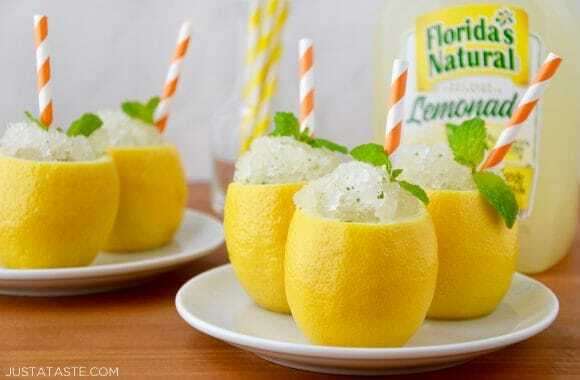 You’re only three ingredients away from this refreshing recipe for Easy Lemon Granita that makes for the perfect palate cleanser or summer brunch companion. 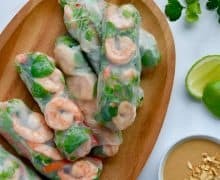 Cool, crunchy, tangy, sweet and with a hint of mint. It doesn’t get much more refreshing than a big ol’ scoop of Easy Lemon Granita. “Gra-what?” you ask. Granita! As in, a fancy word for shaved ice or, as we call them around our house, snow cones. But here’s the kicker. 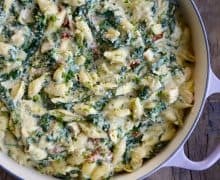 This recipe is made with only three ingredients and doesn’t require any special equipment to make beyond a fork. Ready for the not-so-secret, super simple shortcut? 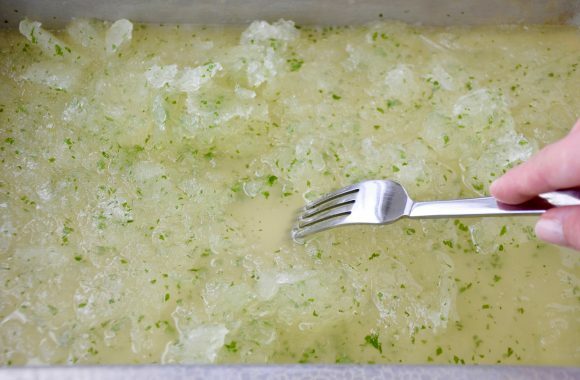 Most granita recipes call for making a simple syrup or squeezing endless lemons. 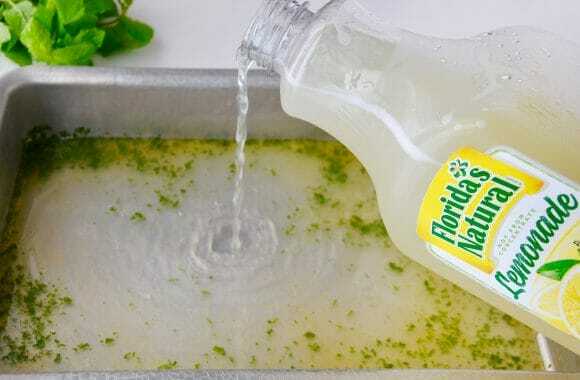 Here, we’re kicking all that unnecessary work to the curb and twisting open a bottle of Florida’s Natural® Brand Lemonade. 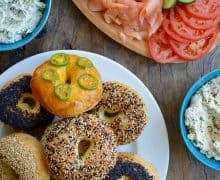 This is my third year partnering with Florida’s Natural for their Brunch Club extravaganza, and it’s amazing to think that in those three short years, my family has doubled in size. 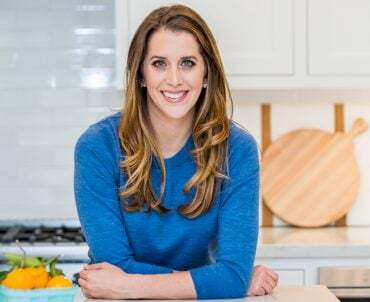 As a mom of two boys under the age of 2, I had my fair share of crazy pregnancy cravings, but the number one craving during my pregnancies with both Julian and Evan was… lemonade! It was a cool, sweet, sour, and caffeine-free solution to quenching my thirst and I drank it nonstop—regardless if I was 9 months pregnant in the summer or winter. 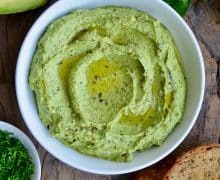 So naturally, when I was pregnant with Evan, I was looking for creative ways to turn my favorite beverage into an even more refreshing snack without a whole lot of stress or mess. 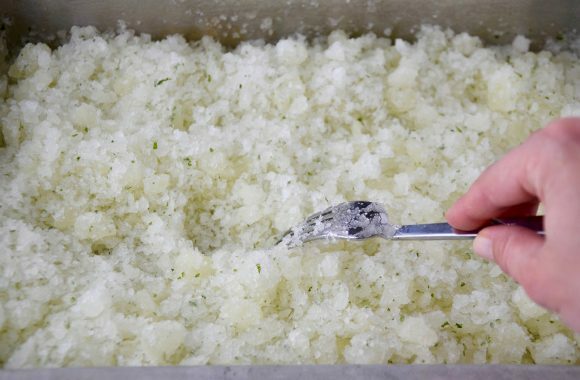 And that’s how this Easy Lemon Granita was born. 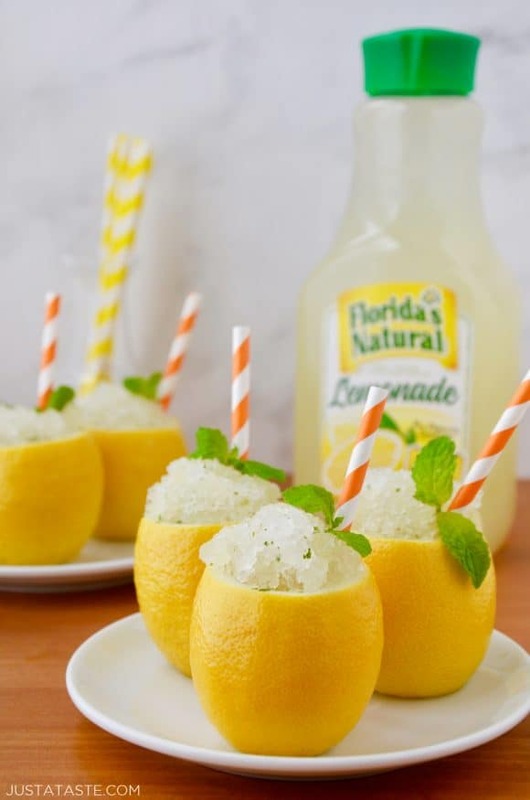 I’ve paired my favorite Florida’s Natural® Brand Lemonade with plenty of minced fresh mint and then taken the presentation up a notch by serving the granita in hollowed-out lemons. Because I’m cooking and entertaining nonstop (pregnant or not!) I love this added touch to the presentation. 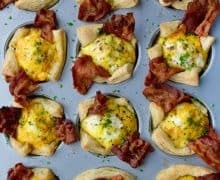 It adds mere minutes to the prep and really wows guests, whether you’re hosting a summer barbecue, baby shower or spring soiree. When it comes to flavor profiles, you can use any variety of Florida’s Natural® Brand Lemonade, but I really love the deep-purple hue of the Lemonade with Pomegranate (bonus points for all of those added antioxidants!). Best of all, every purchase of any flavor of Florida’s Natural Lemonade helps support Alex’s Lemonade Stand Foundation, a nonprofit that funds childhood cancer research. 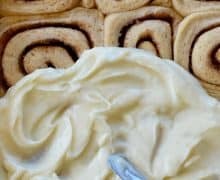 So grab the lemonade and find inspiration for more citrus-packed favorites with my other Brunch Club recipes for French Toast Roll-Ups, Orange Baked French Toast and Tropical Brioche Bread Pudding. In a 13x9-inch metal baking pan, whisk together the lemonade, pineapple juice and minced mint. 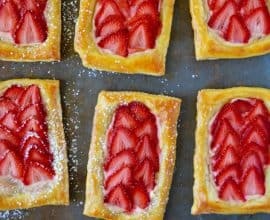 Transfer the pan to the freezer and scrape it with a fork every 30 minutes for about 2 1/2 hours or until the mixture crystallizes. 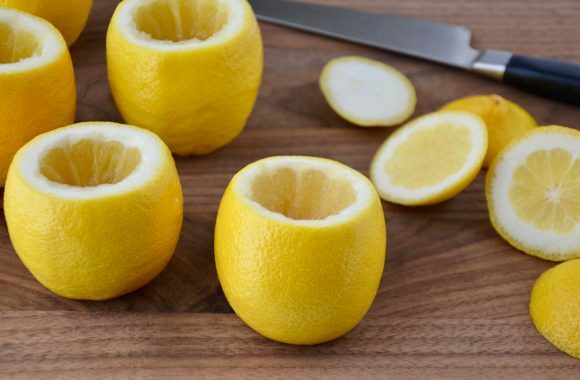 When ready to serve, scoop the granita into hollowed out lemons or bowls and serve immediately. For a boozy twist, whisk in 1/2 cup of your preferred liquor (such as vodka or rum) and continue with the recipe as directed. Disclosure: I’ve partnered with Florida’s Natural for an exclusive endorsement of not-from-concentrate Florida’s Natural® Brand Orange Juice and Florida’s Natural® Brand Lemonade. This blog post is sponsored by Florida’s Natural Growers. All opinions are my own.